Amethyst is one of my favorite stones. Sure, it’s pretty with all those quartz inflections and a color that is so rich that royalty and the pope identify with it, but the powers of amethyst are truly amazing. By those, I mean the powers of repelling negative thoughts and negative people. We all need that, right? Many years ago I had a friend show me that amethyst can strengthen the body. 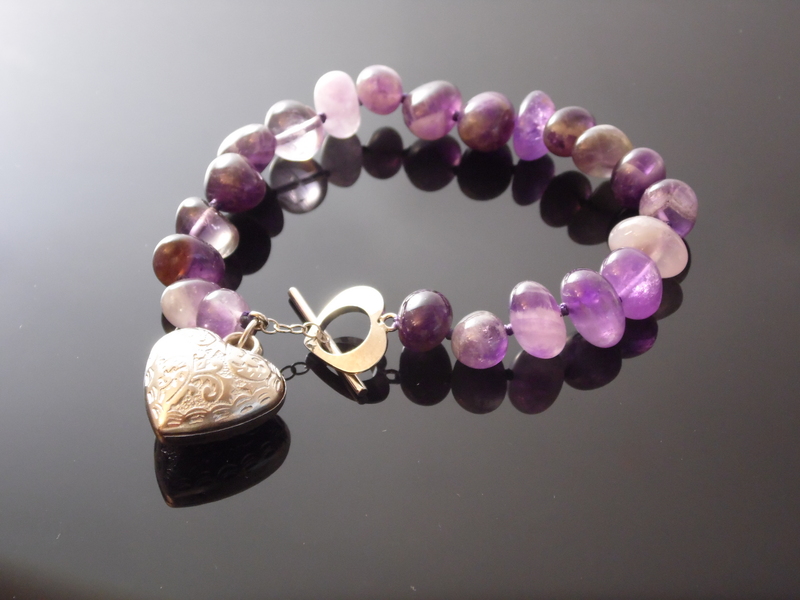 Holding an amethyst stone can increase your strength during a physical activity. And I read about it repelling negative thoughts and negative people, but never gave it a whirl and then the opportunity presented itself when out of the clear blue somebody was making my life miserable. It happens to all of us at one point or another where we run into someone who is unhappy with their life or lack of success and they want you to be as miserable as they are. You just happen to be in the wrong place at the wrong time and Bam! They let you have it. And they usually make sure that others are watching to up their power play. So this happened to me and I was pretty sure I was going to have to endure this person for a while because of our social schedule and was NOT looking forward to it. Additionally, I kept replaying in my mind the whole scene which was keeping me up at night. That little phrase.” Don’t let her rent space in your head. She is not worth it.” was not helping. Time to give amethyst a try. I put this amethyst bracelet on for four days and even slept with it. After a few hours, this person left my mind. After four days I had this inexplicable joy. I got to thinking about it. If you had no negative thoughts or negative people in your life, all that negativity is replaced by joy. It worked so well that this person left our social group for 6 months and returned a nicer person. Now admittedly, she may have left out of embarrassment of her behavior but to this day, I really believe that amethyst made this situation turn around and gave me peace of mind.